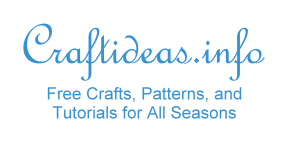 Take a handfull of beads and some wire and create fun and pretty ornaments this year. Not only do they look great hanging on a tree, they also make lovely decorations for the windows. When the sun’s rays hit them, they sparkle in the light. 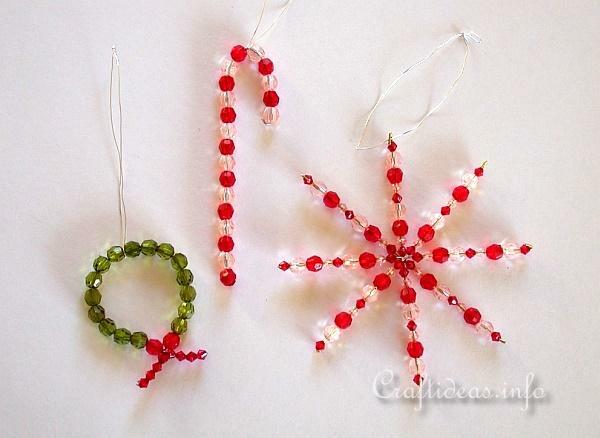 The red and white beads give the star a Christmas candy look but other colors can be used as well. 1. 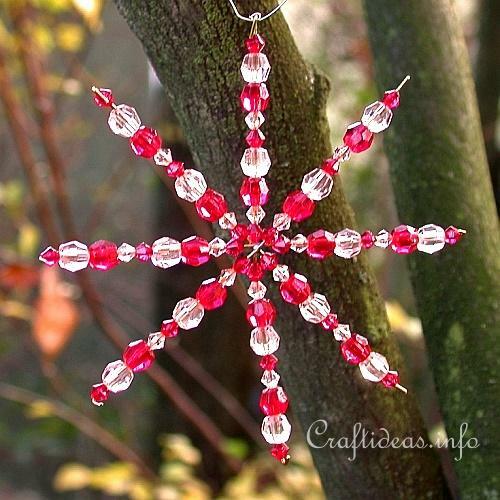 Either criss cross and twist 4 x 9cm pieces into a star shape or parents can solder the crossed pieces at the center. Start beading by adding the beads in this order on each spoke: 1 small red, 1 small white, 1 large red, 1 large white, 1 small red, 1 small white, 1 large red, 1 large white and then 1 small red. 2. After finishing the 1st spoke, use the pliers and bend over the wire to hold the beads in place. Do the same for each of the completed spokes. 1. Cut a 10 cm length of wire and use the pliers to bend up on end. 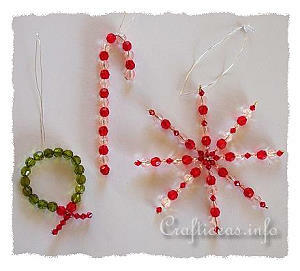 Add red and white beads alternatively to the wire until there is about a half of centimeter left. Bend up this end now. 2. Take the top and fold over in a candy cane shape and add a wire or string at the top for hanging. 1. Cut a piece of wire and add first 4 small red beads and then 1 large red bead. 2. Add 16 large green beads. 3. Now add 1 large red bead and then 4 small beads. Twist the other end so the beads stay in place. 4. Twist the 4 red ends once to connect them to look like red ribbon tails.